Why are we having the Olympics in Rio again? First the Zika virus, now gunmen shooting up the hospital tourists are recommended to use while there.. Who thought having it in Rio was a good idea? A group of heavily armed men stormed a Rio de Janeiro hospital Sunday to free a suspected drug trafficker, sparking a shootout with officers that left a patient dead and a nurse and an off-duty policeman wounded. Investigators were studying security camera footage, and Rivaldo Barbosa, head of the state’s homicide unit, said two of the assailants had been identified. Souza Aguiar is one of five hospitals designated by the city to treat tourists during the sporting event because of its proximity to the famed Maracana Stadium, site of the opening ceremony on Aug. 5. It’s also on a U.S. Embassy list of medical facilities recommended for travelers to the games. 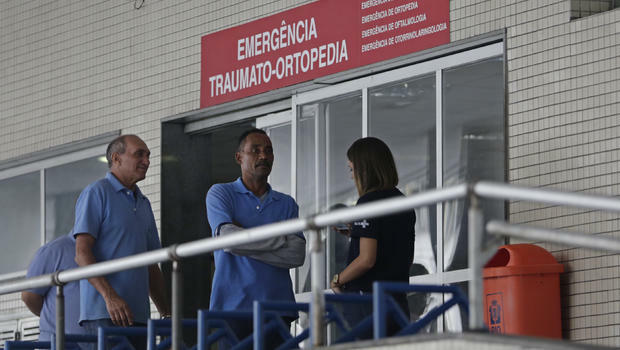 Fabio Melo, a sergeant who was guarding the suspect in the hospital, said he feels vulnerable to attacks as Rio de Janeiro state is increasing officers’ shifts.